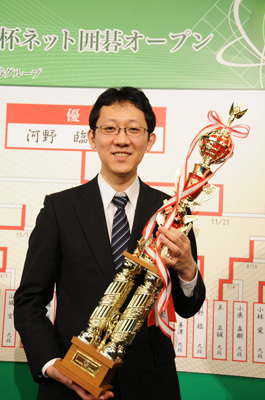 After losing the first game to challenger Iyama Yuta, Kisei title holder Cho U won the second game. 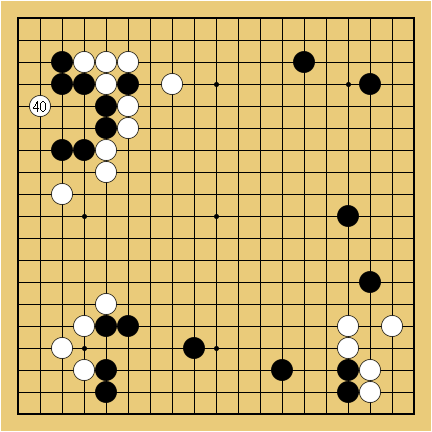 I found Iyama’s move 40 quite amazing, it is played in a place that would never occur to me, see the next diagram. In the game black replied by connecting with the triangle marked stone. 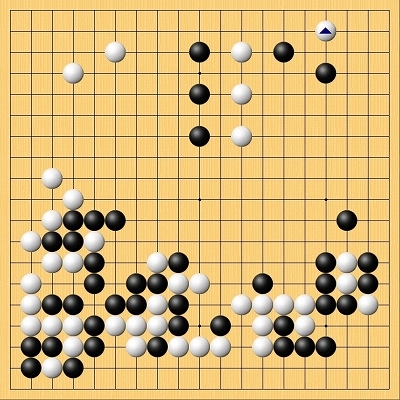 This makes move 40 a very efficient forcing move, since now white has even more forcing moves from the outside. This diagram shows the strongest continuation for white – in fact white did play this, but much later in the game. The last diagram shows why black cannot reply aggressively in response to white 40. The most important Japanese title in professional Go, Kisei, started yesterday. The title holder is Cho U, while the challenger is Iyama Yuta who seems to be in very good shape recently (he defeated Cho U in the final of the Daiwa Cup). Here is the game at the end of day one – Cho U plays white and he made the sealed move. White’s shape in the center looks bad, like damezumari, but he can capture some black stones and fix that. 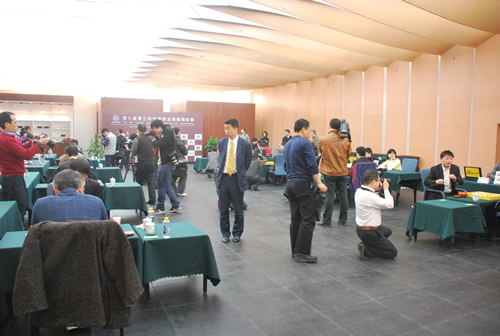 First round of the 8th international Chunlan Cup took place in China. The only non-Asian areas represented are Europe (Mero Csaba, 6 dan amateur, ex-insei) and North America (Jiang Mingjiu, 7 dan pro). Japan had a very good result in this first round: 4 of the 8 games played were won by Japanese players: Yuki Satoshi 9p defeated Lin Zhihan 7p of Taiwan, Iyama Yuta 9p defeated Mero Csaba 6d, Yamashita Keigo 9p defeated Chen Yaoye 9p of China, and Cho Chikun 9p defeated Kang Dongyun 9p of Korea. I was very happy and surprised to see the veteran Cho Chikun winning – I haven’t heard much about him these past few years. The other winners in this round were Heo Yeongho 7p of Korea (defeated Yoda Norimoto 9p of Japan), Gu Lingyi 5p of China defeated Jiang Mingjiu 7p of USA, Choi Cheolhan 9p of Korea defeated Hu Yaoyu 8p of China and Lee Sedol 9p of Korea defeated Zhou Junxun 9p of Taiwan. Here is the game in which Yamashita Keigo of Japan, playing white, defeated Chen Yaoye of China by 4.5p. This is the game between Iyama Yuta of Japan and Mero Csaba of Hungary. Iyama Yuta played black and won by resignation. And here is the game that the veteran Japanese-Korean Cho Chikun won against the young Korean star Kang Dongyun (Cho played white and won by resignation). Amazingly, Lee Changho lost to an amateur player (Han Taehee) in the 2nd BC Card Cup, in less than 100 moves! BC Card Cup is a mixed tournament as amaterus can also participate. There were five Korean amateurs who each managed to defeat three professional players in a row to make it through the preliminaries, but of the five ones only Han Taehee won in the main tournament. Yu Bin, a famous Chinese player who used to be in the top a few years ago, also lost to an amateur (Na Hyun). Here is the game record between Yu Bin 9p and Na Hyun 6 dan amateur: Yu Bin, playing black, lost by half a point. Iyama Yuta of Japan then restored things to “the natural order” and eliminated Na Hyun. Here is the game record: Iyama Yuta, playing white, won by resignation. You can find the tournament table at this link; make sure to look at both top-most (main tournament) and second from the top (preliminary) tables. Kono Rin repeated last year’s performance and won the 5th Daiwa Cup. He defeated Cho Sonjin, O Meien, Cho U and Iyama Yuta. The record of the final game is here. 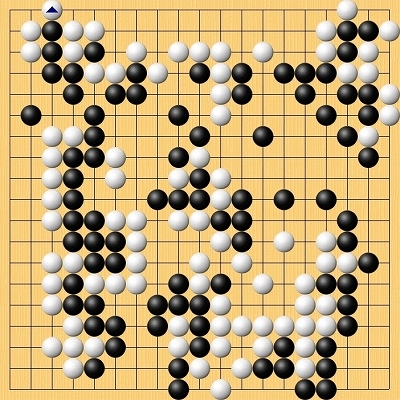 Kono Rin (black) defeated Iyama Yuta by 1.5 points. The complete tournament table is here. “Asian New Star” competition is a team match between Japan, China, Korea and Taiwan where each country’s participants are young professional players. Each country is matched against each other. There are 8 players in each team: 6 male players and 2 female players. This year’s competition was won convincingly by China, who won all 3 matches against other countries. South Korea was second (only lost the game against China). The big surprise for me was the fact that Taiwan came in third, after defeating Japan 5-3! Japan lost all three matches… If the competition of young professional is any indication of the future (and I believe it is! ), Japan has one more country to have trouble in Go competition with: Taiwan. 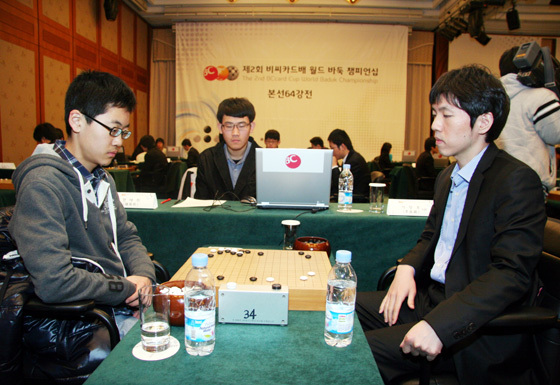 Here is the game between the team captains of China (Chen Yaoye) and Korea (Kim Jiseok). Chen Yaoye (white) won by half a point. 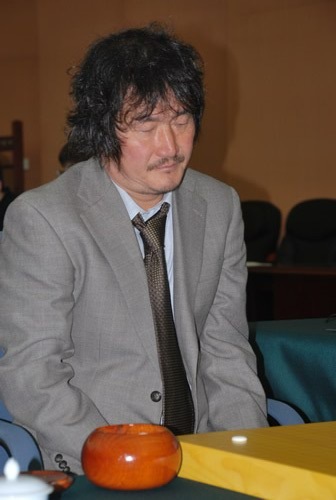 I was expecting the Japanese team captain, Iyama Yuta who is a super-star in Japan and recently captured Meijin title from Cho U, to put up more of a fight, but he lost all his games. Here is the game Iyama Yuta (white) lost by resignation to the Taiwanese team captain, Chen Shiyuan. 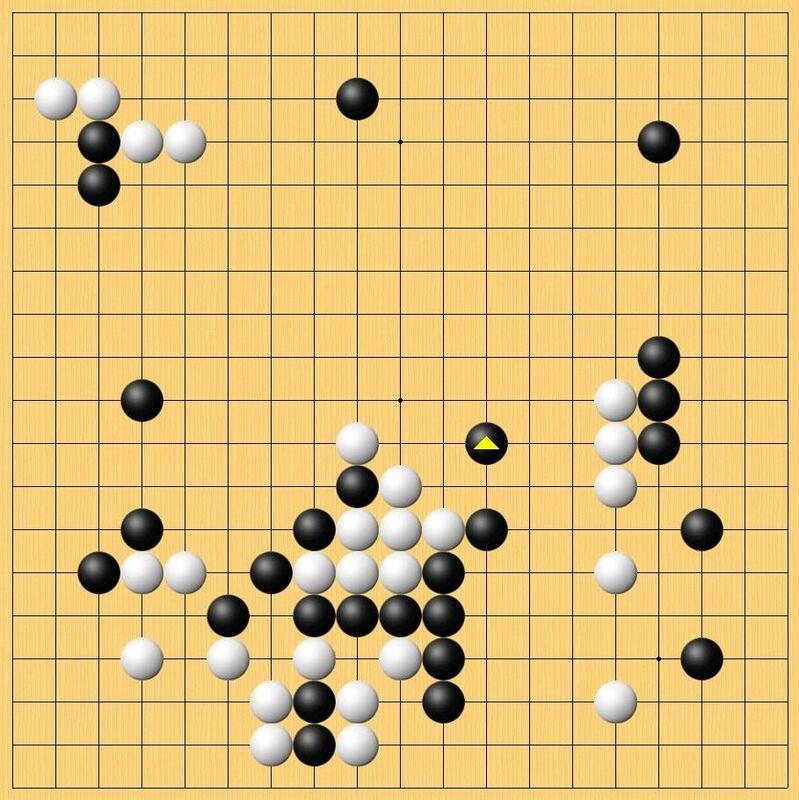 Here is the game Iyama Yuta (white) lost by half a point to the Chinese team captain, Chen Yaoye. 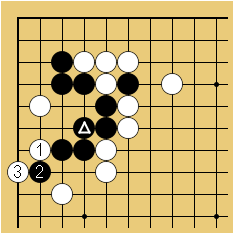 And here is the game Iyama Yuta (black) lost by resignation to the South Korea team captain, Kim Jiseok. 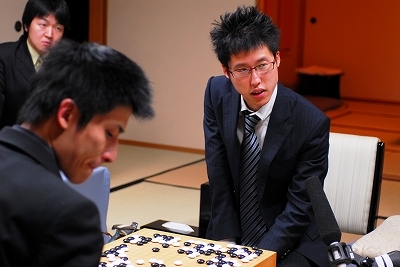 Iyama Yuta defeated title-holder Cho U in the fifth game and captured the Meijin Title with a convincing 4:1 score. Here is the final position: Cho U (black) resigned after white’s marked move in the upper-left. Full tournament table here. This is Iyama Yuta’s first major title in Japanese Go, but I am sure we’ll see more of him. Cho U is still the dominant player in Japan based on the number of titles he is holding right now (four out of seven). Iywma Yuta, challenger in this year’s Meijin title, won game four. Since he is leading now 3:1, he is only one win away from capturing the title from Cho U. The game record is here. 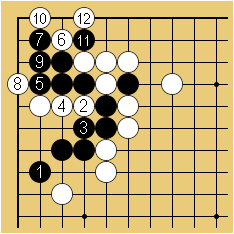 Iyama Yuta played black and won by resignation. 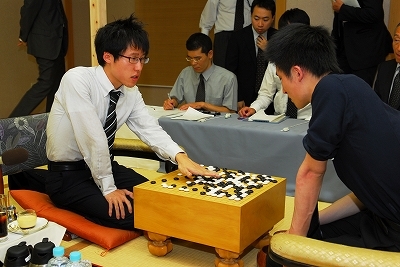 The fourth game of the Japanese Meijin title started yesterday. The score is 1:1 so far. Iyama Yuta, challenger, leads by 2:1 so far. 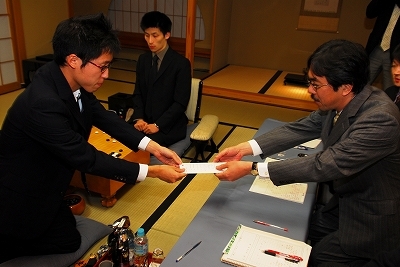 He sealed move 83 at the end of day one, and can be seen in the photo below handing the envelope with the sealed move to referee Kataoka Satoshi 9p. Here is the position just before the sealed move. The lower half of the board is pretty much settled after several exchanges took place. The game will be decided by the fight in the upper half of the board. 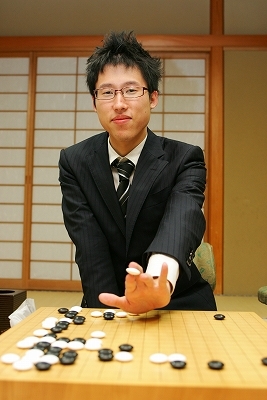 Iyama Yuta took the lead in his Meijin title challenge when he defeated title holder Cho U by resignation in game three. The game record is here. Game four is scheduled for October 7th and 8th. The complete tournament table can be found here.